Bangalore-based energy storage solution provider Greenvision Technologies has launched VOYAGER, a gel-based battery for electric rickshaws (E-Rickshaws). The battery has been designed for E-Rickshaws plying on the Indian Roads. The R&D division of Greenvision Technologies has designed and developed these gel-based, maintenance-free and cost-effective batteries available in the capacity of 100 AH. These lead acid batteries can operate up to 80 kms when charged overnight. A set of four such batteries are used in E-rickshaws. "With electrical rickshaws offering an eco-friendly alternative to the polluting auto rickshaws, metros in India are witnessing an increase in E-rickshaws. Currently, they are gaining popularity in the city of Delhi and some parts of UP and West Bengal. We are in talks with E-rickshaw manufacturers in the country and are aiming at selling 35 to 40,000 units per month," said Mr. Biju Bruno, Managing Director, Greenvision Technologies. "A set of four VOYAGER batteries are priced at Rs. 28,000 and ensure longer life as against similar batteries available in the market. VOYAGER batteries are completely maintenance free thus enhancing the level of comfort of users and is highly durable," added Mr. Bruno. Greenvision Technologies will release its gel batteries for E-bikes by March 2016, which will be followed by batteries for golf carts and buggies. 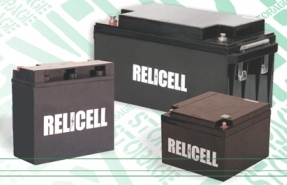 Explore further in Relicell Battery.